This website was designed and built using WordPress. It’s simple to navigate; intuitive and easy to use. It has a professional image and gives a clear message to visitors. The home page has panels and graphics to provide alternative navigation options and dynamic content in the form of a changing fading image banner. The website is well organised and well optimised with additional pages to represent all major brands of printers, photocopiers and plotters including manufacturer logos, model numbers and common problems experienced. Contact information and the Oxley company logo is displayed clearly on all pages. 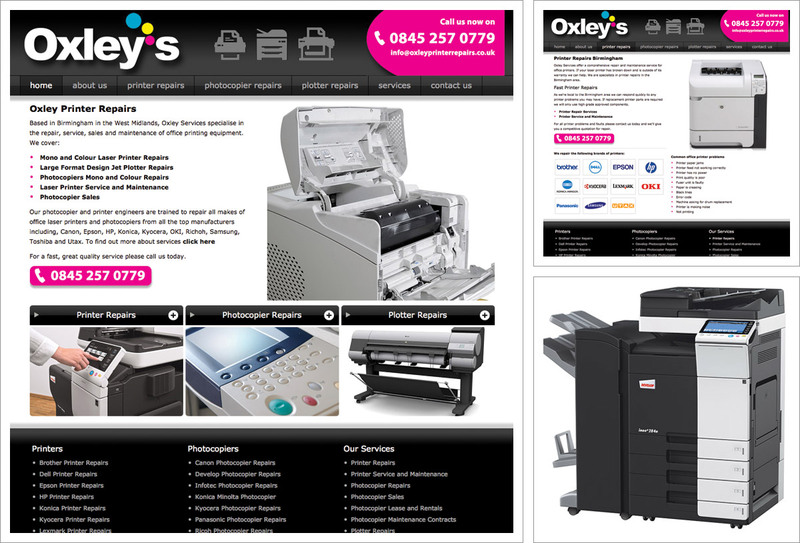 Read about Oxley Printer Repairs on our web design blog.